To the people of RMB City. Thank you for choosing me as your second Mayor. We have a huge task ahead of us. That we are in the midst of crisis is now well understood. This isn’t some abstract debate. Thousands are losing their jobs, people are not spending, and our streets and buildings are deserted. Excess and greed have taken us here. There is a sapping of confidence across our land; fear that our decline is inevitable, that the next generation must lower its sights. 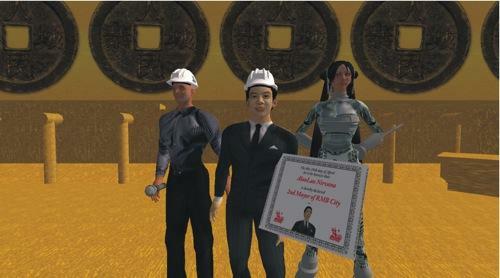 We must now act on a broad stimulus package to bring prosperity back to RMB City and its avatar citizens. We need to create a harmonious society, where new collaborative programs will stimulate our citizen’s minds, and where fast growth will be complemented by slow dreams. The time for talk is over. The time for action is now! Let us learn our lesson: continue your excesses, not on borrowing and spending, but on dreams and ideas instead! The stimulus package I am proposing has 3 parts: create jobs, offer aid to those who need it the most, and stimulate the minds of our fellow avatar citizens. Job creation. The idea is simple: let’s put our citizens to work doing the work that RMB City needs to get done. I am calling on all bankers, hedge fund managers, and those who lost their jobs in the crisis, to come join me in constructing new monuments and recreating our ancestor’s grandeurs. Think big! And add to the already impressive cityscape of RMB City. Senators, I ask that you approve the funding to support this much-needed infrastructure spending. Financial/housing aid. We need to offer immediate relief for struggling avatars under the crisis. Today, I signed a memorandum requesting the People’s Bank to give out Linden dollar to support those in need. This is part of the TARP program that I have outlined before in my campaign. Each citizen is entitled to L$10. 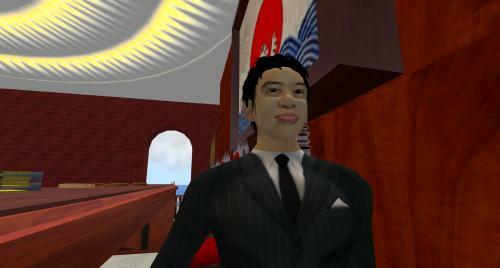 We want you to go spend in SL, and stimulate the economy! In return, we ask that you tell us how you will spend the money, so that we understand your desires, hopes, and dreams, so we can plan for a better city in the future for you. The housing bubble in SL has prevented many from building their own homes. Openspaces price has gone by 50%. And Mainland remains prohibitively expensive for many. We at RMB City welcome you to come set up your homes in People’s Neo Village, where you can take temporary refuge. Mind stimulus. Our citizens’ minds are no less creative and are not yearning for less than when this crisis began. 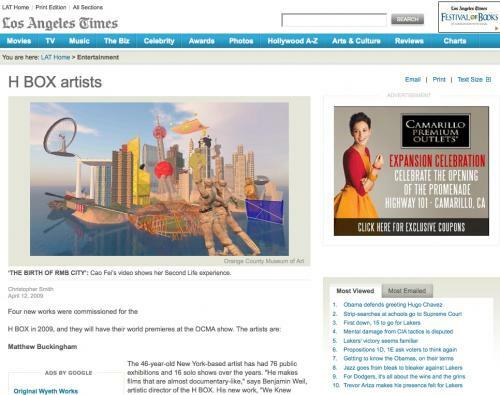 We need to keep our fellow citizens engaged, and let tourists see RMB City as SL’s leading creative and cultural hub. I am calling on SL’s best performers to come show your talent in our city. I propose to follow through on the plan laid out by our first Mayor, UliSigg Cisse, to host the “RMB City Super Avatar” contest. Come, and we will offer RMB City as your theatrical stage to show us your best to millions in SL. Inaction is not an option that is acceptable to me and it’s certainly not acceptable to the people of RMB City – not on jobs, not on aid to those who need it, not on mind stimulus; not at this critical moment. So I am calling on all Senators to rise to this moment. No plan is perfect. But the scale and the scope of this plan is the right one. Today, we begin in earnest the work of making sure the world we leave our next generation of avatars is just a little bit better than the one we inhibit today. We have duties to ourselves, our city and the world; duties that are challenging but that define our character. This is the price and the promise of citizenship. I am eager to work with all of you as we stand up to meet the challenge. That’s what the people of RMB City are looking for. That’s what I believe we can deliver to our avatar citizens, and the generation to come in the future. Thank you. It may sound like an inconclusive generalization but I am almost sure that anybody, if given the possibility, would take the chance of experiencing a new birth, exploring ‘another world’, making up a new existence and exerting the power of controlling every single aspect of a new life. 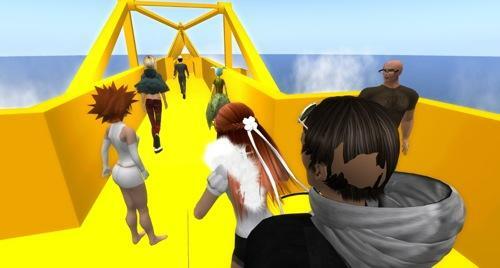 My immediate thoughts when I first entered the heterotopical, virtual space of Second Life and RMBCity went to all the complicated academic literary issues I studied in the past (Foucault’s essay on ‘heterotopy’, utopianism and science-fictional studies etc.etc.). As a new intern for RMBCity project I am now exploring, honestly for the first time (maybe second?) the immense virtual place of SL and I am now starting to realize how much fun it can be and at the same time how complicated it actually is to re-enact my second birth in a new unknown world (I don’t really have memories about my first one!). I therefore set aside all my philosophical queries for a while and instead concentrate on far more down-to-earth subjects like learning how to walk, jump or speak (I’m almost sure the extremely diabolical deus ex machina behind SL intentionally meant every initial step in this world to be terribly difficult to learn, so as to re-create the actual troubles a newly born real creature suffers!). After a while spent in my original homeland I immediately feel the curiosity to teleport my avatar, my alter-ego, my second-me (is it maybe more real, I am wondering, than my real-me…?) to RMBCity and magically find myself in the central City Hall (teleporting, compared to other more ‘realistic’ actions is surprisingly very easy to perform) and WOW!…..imagine my surprise when I find myself in this surreal cosmo-Chinese land surrounded by jumping fishes, Beijing architectural symbols dangling in the sky, ‘dream umbrellas’ and many other stimulating and magical situations! I cannot trust my eyes! I’ve finally found a place where I can give vent to my creative dreams. In this place you can refresh your imagination and get to think on a different, maybe higher and more ambitious level, Dante already wrote about that many centuries ago (and here, I’m sorry but both my literary and my national background come to the fore!) 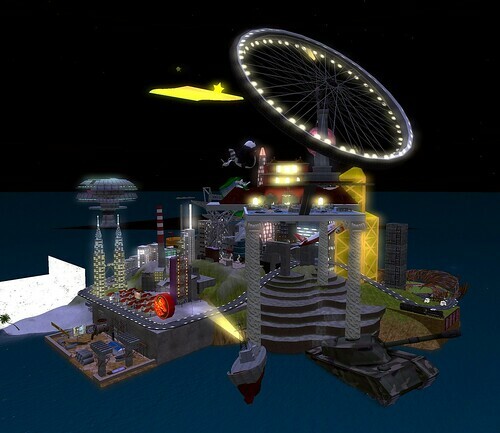 in the marvelous Ulysses-canto (Inferno, Canto XXVI): you must overcome your own limits and keep on pushing forward your own goals in order to get knowledge, and I think this new world of RMBCity may be the ideal place to start my virtual explorative journey. ‘Consider your breed;/ you were not made to live like beasts,/ but to follow virtue and knowledge’! Just came across a beautiful night-shot of RMB City by the venerable Bettina Tizzy, founder of Not Possible in Real Life and long-term friend and advisor to RMB City project… We were honored to also have Bettina’s presence (in a beautiful Eshi Otawara dress) at the Mayor’s speech this morning! As a still relatively new SL citizen, I was shocked to know that there is capital control in SL, just like in RL. As an avatar, I can only buy US$25 worth of credit in my first 3 days, and up to $250 in my first week. Once you reach the first month anniversary, your limit goes up to $5,000 every day, which is quite enough, but still a lot less than if you are a “business user”. Once I max out on buying credit in my SL account, I can only exchange that amount into Linden dollar after 24 hours. 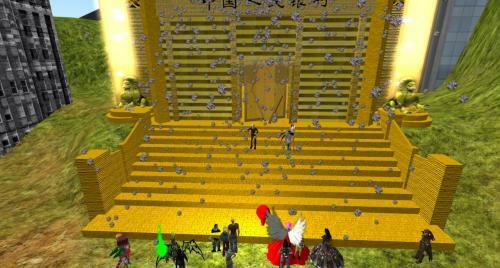 Oddly enough, the same capital control applies “twice”, so every RL dollar to Linden dollar transaction takes 48 hours. This is not too different from transfer HK dollar to RMB – I can exchange up to RMB 20,000 every day, and can only transfer up to RMB 80,000 to my Chinese bank account (which must be under my own name) in a day. So it takes literally forever to move money from HK to China! Capital control in SL is to “prevent fraud” (according to the SL website), especially protecting the new and uninitiated. Capital control in RL, for RMB at least, prevents excess liquidity and currency speculation, for a currency that is still not freely traded, hence protecting it from unwanted volatility – and preventing it from reaching its “true value” – as most think the RMB should appreciate a lot more from current level?! So, another case of SL not too different from RL. 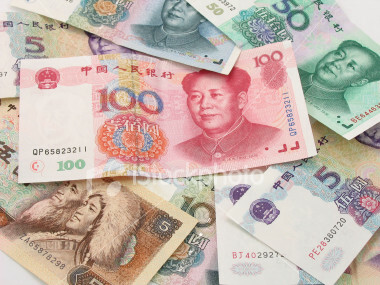 Fun fact: there is Renminbi (RMB) before there is People’s Republic of China! RMB became a currency in 1948, Dec 1 – so it has a “brief” history of 60 years now. It was pegged at less than 3 RMB/USD – which was clearly dislocated from the commercial reality at that time, and RMB’s real purchasing power. And of course it was not a freely circulated currency, so as a foreigner, you have to use foreign exchange certificates. All of us thirtysomethings should still remember that. Because the RMB was pegged so high, there were dual rates running, so in the “black market” one can exchange to get a lot more RMB than at official exchange shops. From that level of 3 RMB/USD, the RMB continued to depreciate, until almost 8 RMB/USD before China’s central bank pegged it to a basket of currency at close to that value a few years ago. After that, the RMB has been on an up trend, appreciating to 6.8 now. 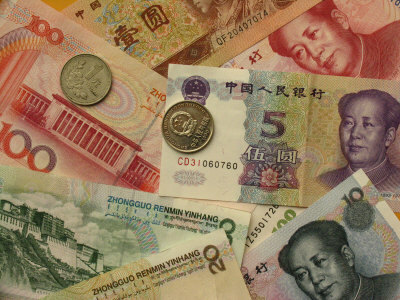 A country’s currency is a major reflection of its history and the underlying economy; and the development of RMB reflected how China as an economy has developed: the closed door policy, the gradual opening up, and the RMB strengthening in the past few years, as one of the world’s fastest largest large economies, with now the world’s largest foreign currency reserve - China is now the single biggest buyer of US Treasury – and hence a “lender” in effect to the US Government and George Bush for many years! Many ways to read the world and a country, with its currency being one mean! question the effect that modern technologies have had on contemporary sociality. talks, Flash Mobs and multiplayer gaming nights. discuss their experiences on our website. other in faster and more efficient ways than ever before. such as Facebook, MySpace and Twitter. On April 25th, RMB City will host a special event, featuring press conference by newly-inaugurated Mayor AlanLau Nirvana (RL: Alan Lau), and a preview of the People’s Limbo interactive art project. After his inauguration on April 18th (see www.rmbcity.com/blogs for full coverage), Mayor AlanLau Nirvana announced a press conference to reveal his exciting new “RMB City Stimulus Package”, with innovative (and possibly controversial) ideas on promoting energy, action, and community growth in RMB City and the virtual world. 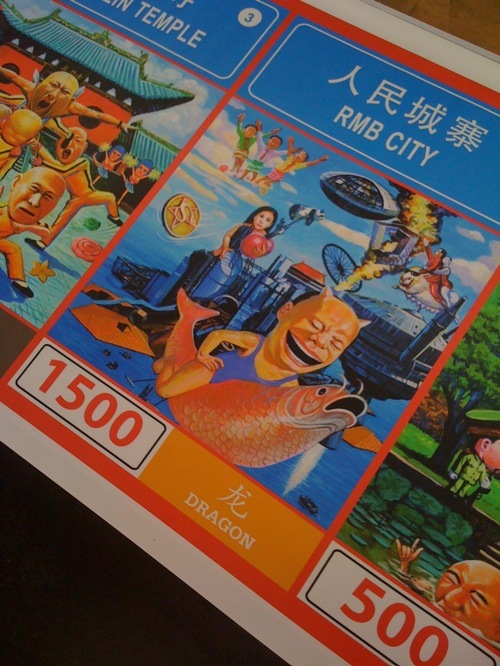 We sincerely invite you to join us in the RMB City bubble pool! In this space that is filled by dazzling bubbles that grow bigger and bigger and burst all of a sudden, you can indulge yourself in the bliss of trusting in the mirror phases in the bubbles. When one bubble disappears, more bubbles emerge to replace it, what a wonderful mechanism for the world! Please join us for the opening of a new chapter in RMB City history! Alan Lau was born in Hong Kong and educated in the UK. He is currently a partner with an international consulting firm. A nomad that lived out of a suitcase for the past 10 years, he uses economics and art to make sense of the world around him. On April 18, 2009, RMB City inaugurated its second Mayor, AlanLau Nirvana (RL: Alan Lau), in a ceremony featuring RMB City founder China Tracy, and historic first Mayor UliSigg Cisse (RL: Uli Sigg). People’s Monthly: What does RMB City mean to you? Markus Miessen: It presents us with a parallel reality. Although it is a virtual space, I would not call it a virtual reality. As a space, it exists in real time, produced in the non-virtual world, through an interface that allows for a reality that transcends the physical boundaries that our everyday world consists of. PM: In SL, the state of PLAY is the crucial drive/ right for avatars, instead of survival in a society, or gravity as the Earth’s law. What do you think about how this affects virtual architecture? MM: I am not sure whether ‘play’ is the right term here. I agree that the fact that it is a parallel reality turns the in-between, the communication between the two realities, into something playful. An avatar is a computer user’s representation of himself/herself or alter ego, a construct of the real, an interface and embodiment of the user. In this sense it is not too different from using a phone or sending an E-Mail. Now, one could argue that the difference lies in the memory of the system, the factor of growth, the factor of a history. Whereas most telephone conversations, SMS or E-Mails tend to be two-way conversations (between two individuals), SL builds up a visual and physical memory in a non-physical reality. It is not too different from building up a collection or an archive — of art, books, objects or dinge (“things”) of sorts — but this one can be accessed, altered, and interacted with in a completely different way. The question, however, is: what is really at stake here? I think that SL, if used smartly, like in your case, can become a test-bed for politics on various scales. On the other hand, if used as a simple game-tool — an interfacing facilitating the ‘state of play’ as you call it — it can easily become as banal as Facebook. PM: What do you think is the biggest challenge to an SL architect? For real-life (RL) architects, how do essential parts of RL’s structure (such as physics, natural disasters, environmental problems, political concerns, and economic limitations) affect things like visual style, scale, and usage? 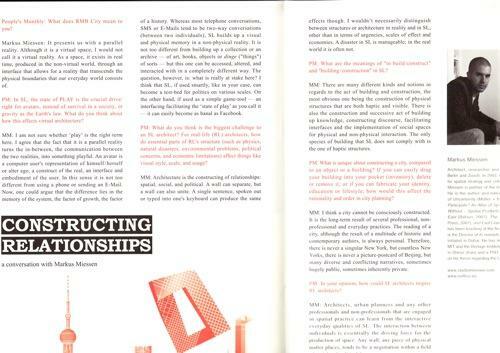 MM: Architecture is the constructing of relationships: spatial, social, and political. A wall can separate, but a wall can also unite. A single sentence, spoken out or typed into one’s keyboard can produce the same effects though. I wouldn’t necessarily distinguish between structures or architecture in reality and in SL, other than in terms of urgencies, scales of effect and economies. 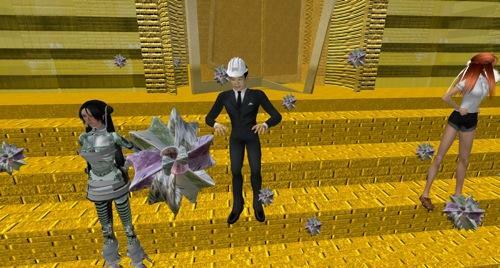 A disaster in SL is manageable; in the real world it is often not. PM: What are the meanings of “to build/construct” and “building/construction” in SL? MM: There are many different kinds and notions in regards to the act of building and construction, the most obvious one being the construction of physical structures that are both haptic and visible. There is also the construction and successive act of building up knowledge, constructing discourse, facilitating interfaces and the implementation of social spaces for physical and non-physical interaction. The only species of building that SL does not comply with is the one of haptic structures. PM: What is unique about constructing a city, compared to an object or a building? If you can easily drag your building into your pocket (inventory), delete or remove it; or if you can fabricate your identity, education or lifestyle, how would this affect the rationality and order in city planning? MM: I think a city cannot be consciously constructed. It is the long-term result of several professional, non-professional and everyday practices. The reading of a city, although the result of a multitude of historic and contemporary authors, is always personal. Therefore, there is never a singular New York, but countless New Yorks, there is never a picture-postcard of Beijing, but many diverse and conflicting narratives, sometimes hugely public, sometimes inherently private. PM: In your opinion, how could SL architects inspire RL architects? 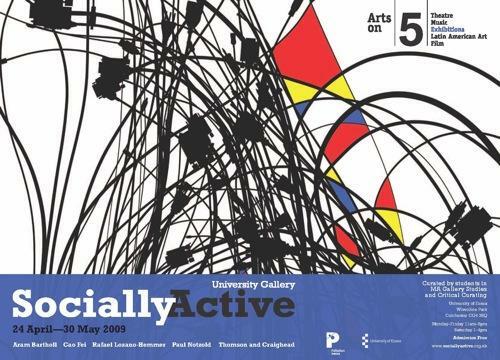 MM: Architects, urban planners and any other professionals and non-professionals that are engaged in spatial practice can learn from the interactive everyday qualities of SL. The interaction between individuals is essentially the driving force for the production of space. Any wall, any piece of physical matter places, tends to be a negotiation within a field of social and political forces. PM: The last yet very basic question is: what do architecture and architects mean in RL nowadays? MM: I would not make that distinction and I hope that, one day, your distinction becomes meaningless. Architect, researcher and writer migrating between London, Berlin and Zurich. 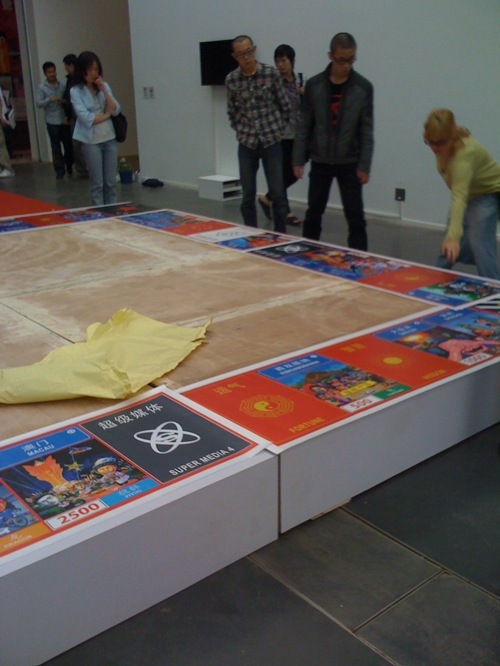 In 2002, he set up Studio Miessen, a platform for spatial strategy and critical cultural analysis. As an architect, Miessen is partner of the Berlin-based architectural firm nOffice. He is the author and editor of several books including Space of Uncertainty (Müller + Busmann, 2002), Did Someone Say Participate? An Atlas of Spatial Practice (MIT Press, 2006), With Without – Spatial Products, Practices and Politics in the Middle East (Bidoun, 2007), The Violence of Participation (Sternberg Press, 2007), and East Coast Europe (Sternberg Press, 2008). He has been teaching at the Architectural Association since 2004 and is the Director of its nomadic Winter School Middle East, which he initiated in Dubai. He has lectured widely, including at Columbia, MIT and the Berlage Institute, and is currently a Visiting Professor in Shiraz (Iran) and a PhD candidate at Goldsmiths, elaborating on his thesis regarding the Uninvited Outsider. 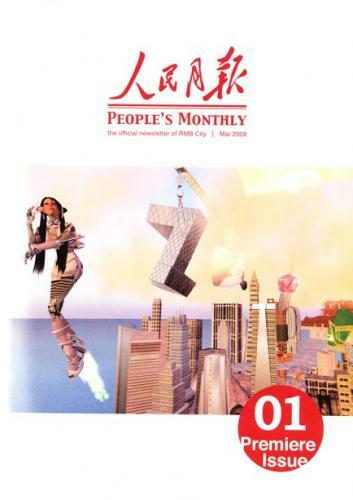 Want to read more articles in People’s Monthly—RMB City ‘s official newsletter? AlanLau Nirvana (RL: Alan Lau) is going to be RMB City’s second mayor after UliSigg Cisse (RL: Uli Sigg)—the first mayor of RMB City. RMB City will have a Mayor inauguration and handover ceremony at People’s Bank in RMB City at 11am, 18th April 2009 (Beijing Time) to give a warm welcome to the new mayor and express RMB City’s gratitude to our wonderful first mayor UliSigg Cisse. In the past three months, our first mayor UliSigg Cisse experimented the reciprocal “becoming” process between human and a virtual city through his values. As RMB City’s soon-to-be new mayor, what will AlanLau Nirvana bring to the virtual city which involves sampling of various Chinese cities and whose urban plans are “planning without plans” ? 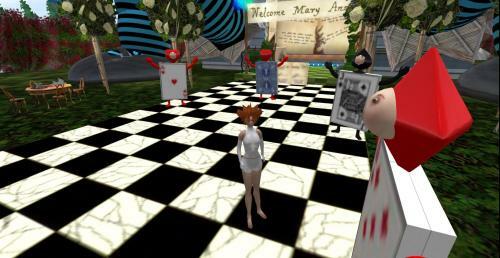 AlanLau Nirvana, who works in the financial sector in reality, when encountering Second Life—a virtual platform partially overlaps with the real economic system through its currency (Linden Dollars)¬¬—what new interpretations will come up? We sincerely invite EVERYBODY to join us at this special event. Born in 1974 in Hong Kong, Alan Lau lived in Canada and studied in the UK, he is currently a partner with an international consulting firm. For the past 10+years, Alan Lau has lived out of a suitcase and he uses economics and art as his portals to see and understand the world around him. We invite all RMB Citizens to share their favorite intelligent mistakes in the comments, or provide your own alternate value slogan… More details coming soon about our next Mayor and the upcoming inauguration! And just a few days ago, there was a heated debate on an English-language news program on CCTV 9, regarding the cancellation of a feng shui-related class at a university. Video here. Blissfully oblivious to this, Huang He’s feng shui swans just keep flying in RMB City… Video here. Qi of RMB City from rmbcity on Vimeo.